Is your baby chewing on everything they can get their hands on? Including you, your hair and your baby carrier? There’s special teething jewelry you can wear that’s baby safe and gives them something to chew on that isn’t you! But with so much different chew-able jewelry out there, which ones should you choose? In today’s article, I’ll investigates all their features and provides you with a guide on what to look for. To be clear, we are discussing items worn by Mom (or any caregiver) and not the Amber or Hazelwood Teething Necklaces worn by babies. 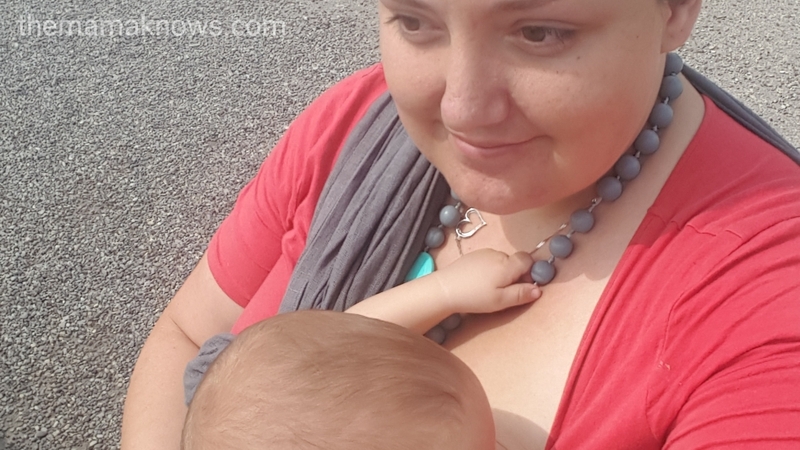 Here I am nursing in a ringsling while Littlest plays with my Munchables Teething necklace. He likes to keep his hands busy while nursing. 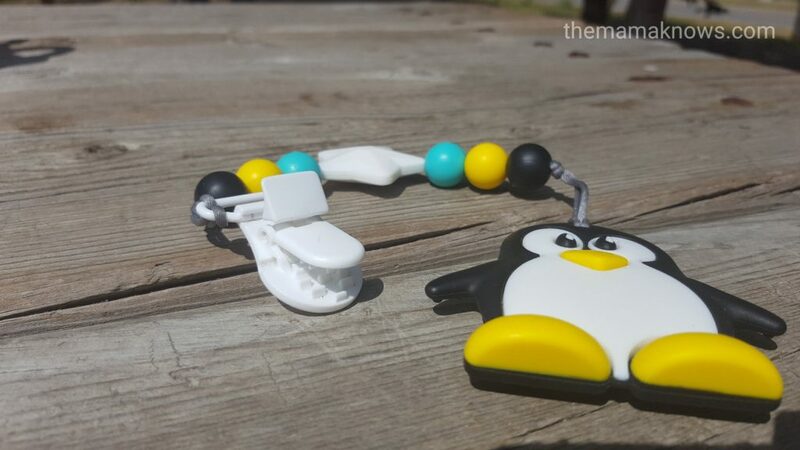 I first found wearable teethers when I was pregnant with my third son. I ran into a local mom at our farmers market and she made clip-on teethers for your baby carrier. She is Michelle from Benjamin’s Buttons and Beads, and we bought a clip-on teether for our carrier that day. 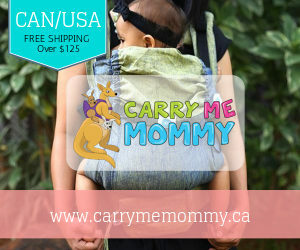 It has come in very handy for my babywearing journey and saves my straps from being gummed and slobbered. It was this little clip-on that got me interested in teething jewelry, and I’ve since bought several pieces. 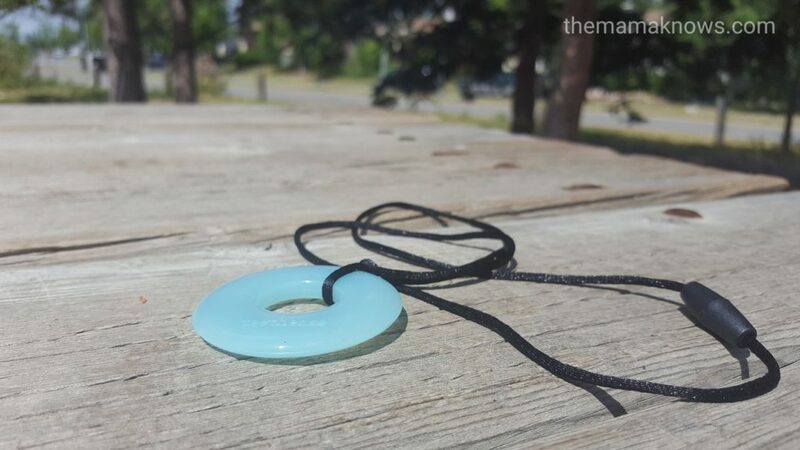 Wearable, chew-able jewelry comes in a variety of styles and materials. Clip-ons, necklaces and bracelets are three great options to choose from depending on your needs. Teething jewelry is also very handy as a sensory object while nursing. 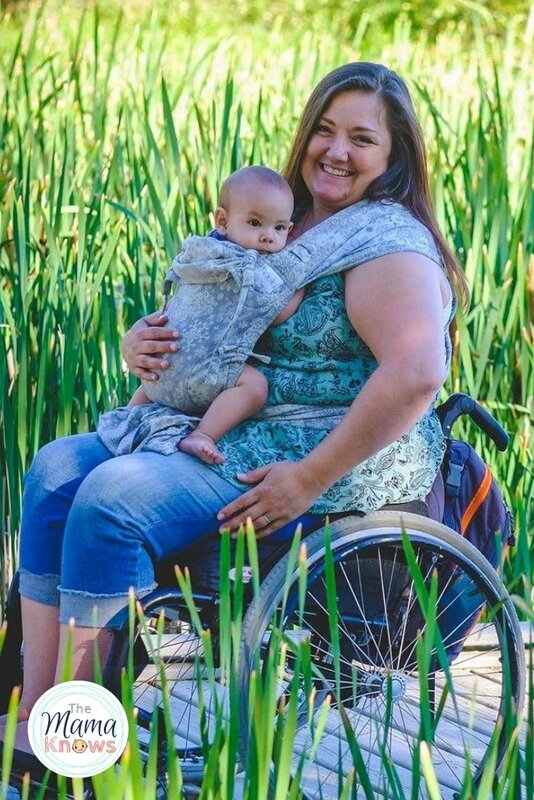 Giving baby something to hold and touch while you nurse can save you from bites and pinches. 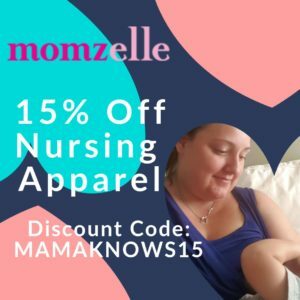 Maybe you want a bracelet/bangle that slips off your arm easily so that you can hand it to baby during babywearing, nursing, or other times when your little one needs something to chew or hold. Or perhaps you want something always there that won’t get lost, and so a necklace is more your game. For travelling, when you need something on the carrier, car seat or stroller, a clip on teether will be perfect! Or maybe you want all three! Polished wood rings (untreated or safely treated with coconut or olive oil), food grade silicone and cotton crocheted wooden beads are the most common materials you will find. It’s important to check that the teething jewelry you pick is specifically designed for baby use. 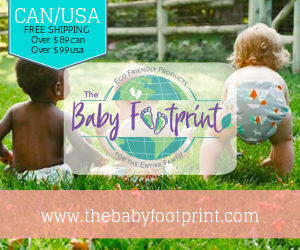 Make sure the silicone is non-toxic, FDA approved and food safe- since baby is going to be chewing right on it. Not just the materials, but the design of the teething jewelry itself should be safe. You’re looking for safety clasps that release quickly in an emergency and strong cords that are individually knotted between beads so that they don’t come loose and become choking hazards if the cord breaks. You want to be sure the item is sturdy and feels secure when you tug at it firmly. Silicone will get covered in dust and hair after a while so a quick wash now and then is essential. My Munchables necklace is dishwasher safe, on the top rack, which is super handy. The Teathease necklace could probably go in the dishwasher too but since its a single pendant I just was it with warm water in the sink. Wood can be treated easily with olive oil or coconut oil as needed. If dirty, it can be wiped with a damp cloth and then left to dry. I buy my teething jewelry from Lagoon Baby and Cloth Diaper kids. Both these retailers have a good selection with affordable pricing and carry brands you can trust. This post contains affiliate links. You can read about how these work here. Thank you for supporting my blog by using these links! 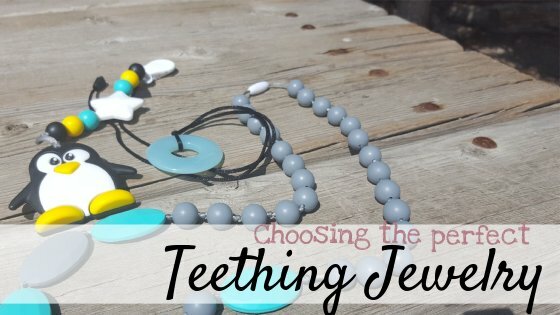 Do you use teething jewelry? What brands have you tried? 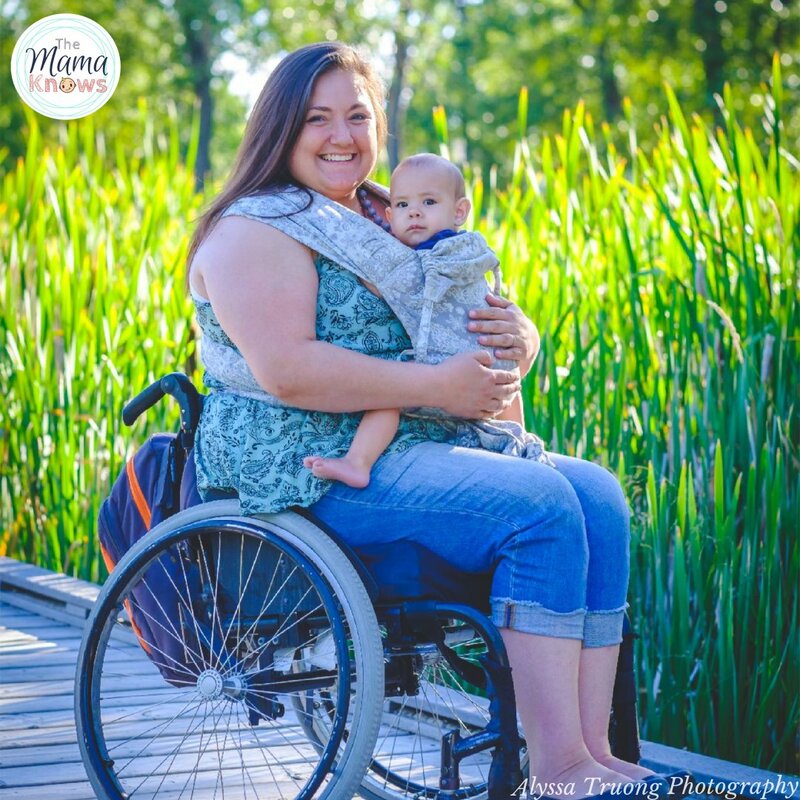 Do you have any advice for moms that are looking to purchase some? Teething/ nursing necklaces seem like they would be VERY useful, helping to keep baby’s attention& saving mommas from getting pinched so much by lil ones hands during feedings. I have purchased a wood bead necklace that has a fabric cover that is knotted between beads. I love the print of the fabric and Baby B loves to chew this necklace. I don’t love that it is fabric and a pit more of a pain to wash and dry then a non fabric necklace would be. We love our teething necklace. My mom bought me one that is from an etsy shop. Thank you for all the great teething jewelry tips! How would you recommend cleaning the crochet beads? For cleaning crochet beads, mild soap and water works great, and set to dry! I didn’t use teething jewelry with my first two, but it would have been so nice to have! I haven’t tried a teething necklace, but since I’ve been teethed on a few times lately I beginning to think it’s a good idea! Thank you for pointing out what to look for, because I would never have thought about having individually knotted beads. I had a set of chewbeads for my last little one! She loved them…. they kept her entertained while she nursed mostly! 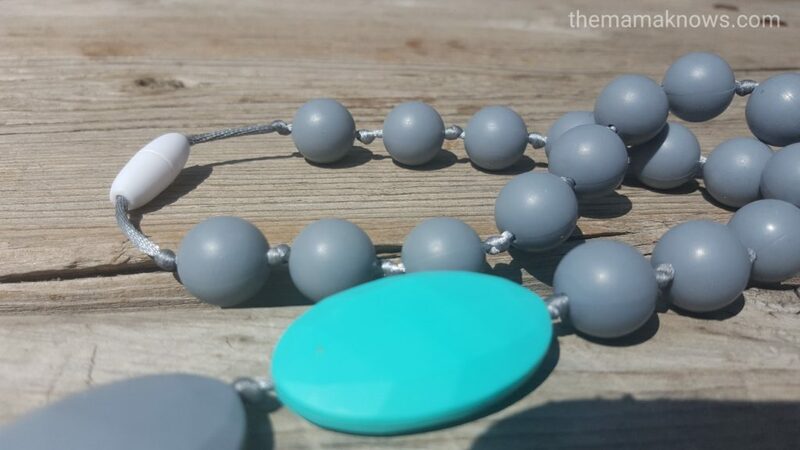 We have a silicone necklace with three different sets varying sizes and textured beads. I’d like a clip for our carrier. I’ll have to look at the shops you mentioned. For Me picking something easy to clean is number one priority. I love the look of teething jewellery. I have a purple teething jewelry necklace I got with my last baby and she loved it! She didn’t end up chewy on it much… she liked to put it on me and then take it off. She thought it was hilarious. lol! My cousin just bought me a teething bracelet to use with this next little guy! Its so stylish! !